It follows three Latina members of a girls’ soccer team in Brighton Park’s Kelly High School, revealing the obstacles of problems at home, discrimination and poverty that confront low-income students in their quest for higher education. The Chicago Latino Film Festival will pay tribute to Kartemquin’s 50th anniversary of social issue filmmaking, with a special presentation of Finitzo’s doc April 19 at the AMCRiver East theatres. I wasn’t exactly sure what to expect with ‘Into the Game’. Honestly, before I watched it, I knew nothing about it other than that it was a documentary feature. As it turns out, I found it to be a pleasant surprise. Maria Finitzo’s In The Game – an exhilarating documentary about race, class, and gender premieres this Friday, February 5 at the Spring 2016 New Jersey Film Festival! Nigrin: In the Game is not a conventional documentary about a scrappy, inner-city girls high school soccer team that wins a championship through hard work and persistence. Rather, it’s a documentary about race, class, and gender as seen through the lives of inner-city girls. What motivated you to make this film? In these days of endless sequels, reboots and CGI blockbusters at the box office, it’s easy to see why the film purist would think that the art of filmmaking has lost it’s way. It’s a notion with which Al Nigrin, creator and founder of the the New Jersey Film Festival, agrees. The festival, which has been around since 1982, kicks off its spring season on Saturday. “Blockbusters have taken over,” he admits. “That means there’s very little room for independent films.” And sure, while he enjoys popcorn fare such as “Star Wars: The Force Awakens” and “Mad Max: Fury Road” as much as the next guy, he maintains that audiences craving smaller indies and documentaries have been neglected. Nigrin’s mission is to help those films with heart — the ones he says have important things to say — find their audience. But how? In this Jetson-era of streaming Netflix on our phones or the rabbit-hole of endless cable channels, what does the NJFF offer that we can’t get from our couch or trusty remote? This is the beginning of In the Game, a Kartemquin Films production directed by the Peabody Award-winning documentary filmmaker Maria Finitzo. Over the span of five years, the film follows three students at Kelly High School in their journey from high school soccer matches to the real world. However, the playing fields are uneven in both games. The fact that Kelly does not have its own soccer field poignantly mirrors the girls’ future: college is a playing field exclusive to those who can pay for it. For the girls, it is no longer a matter of winning the game, but instead simply staying in it, whether that means having three jobs at the same time, or taking a gap year in order to pay for a year of tuition at a community college through work. Kelly High School in Chicago is less than 40 miles from Waubonsie Valley – but there’s a world of difference between the two. 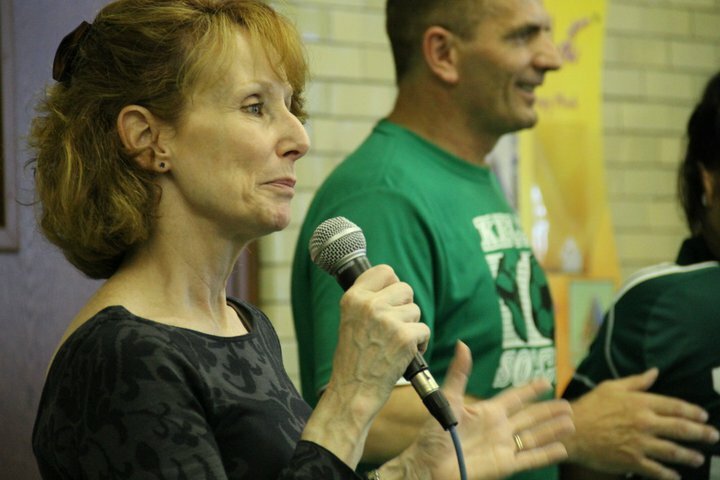 The students at Waubonsie got a look inside that other world when soccer coach Julie Bergstrom hosted a screening of the documentary “In The Game”. It tells the tale of Kelly’s high school girls soccer team, and the struggles that low income students face in Chicago’s South side. The viewing brought to light the stark contrast between Waubonsie’s well-funded, much-supported girls soccer team, versus Kelly’s. An unexpected pastime, a tweet and a serendipitous connection to soccer led students at Waubonsie Valley High School in Aurora to raise $450 for a high school girls soccer team in Chicago. Julie Bergstrom’s passion for soccer is no secret. She’s the Waubonsie Valley varsity coach of girls soccer in the spring and coach of freshman boys in the fall at Waubonsie Valley. NEW YORK (WOMENSENEWS) –For the past four years I’ve been playing on a travelling soccer team. By waking up at six in the morning three times a week to do hill sprints and running 20 miles a week I’ve learned how to work hard and trust in my teammates. While it was fun, it wasn’t easy. But no matter how much I struggle with speed, I know my challenges on the field are tamed by the privileges I have at home. For the past four years I’ve been playing on a travelling soccer team. By waking up at six in the morning three times a week to do hill sprints and running 20 miles a week I’ve learned how to work hard and trust in my teammates. Girls featured in documentary ‘In the Game’ surprised with check from PepsiCo Showdown on WGN Morning News! 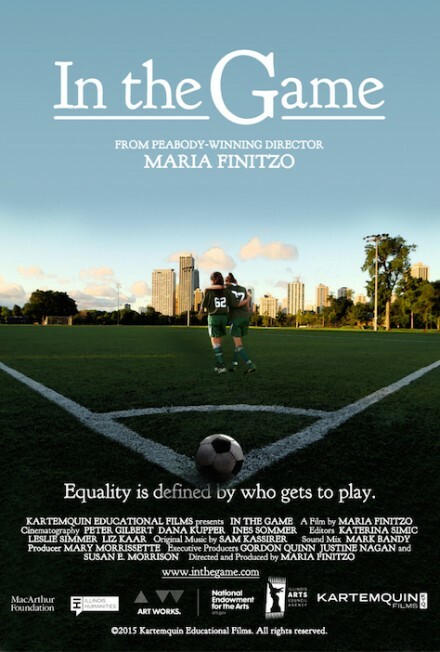 ONE BOOK,ONE CHICAGO has selected award-winning Maria Finitzo / Kartemquin’s “In the Game” doc about a Latino girls’ soccer team at Brighton Park high school for inclusion in the citywide program. As Ringo once cleverly pointed out, we all need a little help from our friends. The teamwork and friendship that can be felt among sports teams can run especially deep, and those feelings are bolstered and nurtured by the coach. Someone who not only calls the plays but is a mentor, a leader, and a guru. This week on CinemaJaw we take a look at the coach in movies. There have been many great examples. Who better to help us out than two time Peabody Award winner, and documentarian, Maria Finitzo? No one. Especially because her latest doc film is partially about this very subject. 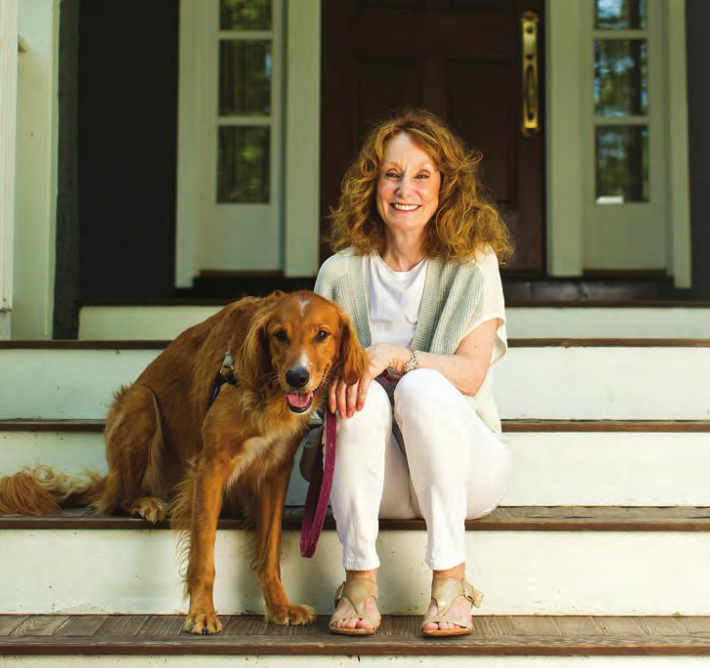 Maria has been producing and directing documentary films for network television, public broadcasting, cable TV and the Internet for more than 25 years. 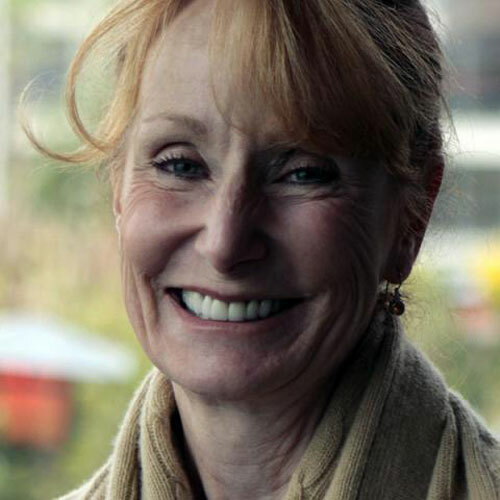 Her body of work has been honored by every major broadcast award granted to documentary films. Ms. Finitzo’s films demonstrate a depth and breadth of knowledge and expertise, tackling a wide variety of subjects including the controversial science of stem cell research, the command and control of nuclear weapons on an international level, and the complex psychology of adolescent girls. From 1995 to the present, Ms. Finitzo has been an associate of Chicago’s own Kartemquin Films, an award-winning media arts organization with a 45-year history of producing social issue documentaries. In 2007, the company was awarded the International MacArthur Award for Creative and Effective Institutions honoring the body of work produced by all of the associates at Kartemquin Films. What a great guest! It was an honor to speak with Maria! So go ahead and run some laps, put your earbuds in and get a good movie coaching! Listen here! Watch the Video! The acclaimed documentary “In the Game,” which examines the struggles of a girl’s high school soccer team in Chicago, is playing for a limited time at the Gene Siskel Film Center. Univision Chicago – Univision visits Coach Stan and Elizabeth, Maria and Alicia at Kelly High School to share their experiences on and off the field. Stan Mietus enters a restaurant in Chicago, not far from where he works as a Kelly High School soccer coach and serves as a second father to his players at the South Side school. It’s his birthday. Mietus walks past patrons and wait staff, thinking he’ll be seated with a couple of loved ones for a quiet dinner. The coach soon notices familiarity — soccer players’ faces and the faces of the players’ parents. The faces, too many to count, are smiling hard at him, thrilled that the coach is sporting a surprised look bordering on a stunned one. It won’t be a quiet dinner. It will be a celebration. The latest documentary from Kartemquin Educational Films, In the Game profiles the girls’ soccer team at a large public high school on Chicago’s southwest side. To call it a sports movie, though, would be selling it short. Director Maria Finitzo uses the school’s soccer program to address larger issues about public education and social inequality in Chicago. As a school administrator informs us, more than 80 percent of the student body at Kelly High School (where the movie was shot) live around the poverty line. Not only that, but the school has been long underfunded, forcing teachers and staff to assist students with fewer resources than they need. Finitzo inspires warm admiration for the soccer team’s dedicated coach, Stan Mietus, who teaches his players to take pride in themselves no matter where they’re from. Yet Coach Stan’s lessons help only so much. There’s nothing wrong with the occasional sugary-sweet, inspirational sports flick about triumphing over adversity and all that optimistic American stuff. I mean, life’s tough and the world’s deeply unjust, but once in a while it’s perfectly OK to get all teary-eyed about the tenacity of the human spirit, right? What better place to turn when you get that itch than the Chicago-based documentary production house that brought the world feature docs like Hoop Dreams and The Interruptors? Hard-fought soccer matches become a metaphor for the even harder-fought lives of the girls from low-income families at Chicago’s Kelly High School. Women’s soccer has enjoyed a surge in popularity in the past years, as demonstrated in the record viewing figures of the Women’s World Cup in Canada this summer. Clever campaigns have promoted not only the health and body benefits of the sport but also the camaraderie and confidence gleaned from the game – on and off the pitch. We are a city of arrivals and depatures. And often it is the same story told again and again, but with a twist each time. This is so in Brighton Park, where the homes and streets have witnessed the march of one group after another. Today, its heart and soul is Latino and to narrow the focus even more it’s the young Latinas on the Kelly High School soccer team. They are latest ones to dream of a bigger future, of doing better than their parents and of maybe moving on to someplace else, someplace better But they also the ones staring at the heartbreak of lives with little money, little support and enough inequality to dash most of their dreams. Films can be providential experiences, the products of a series of happy accidents or chance encounters. 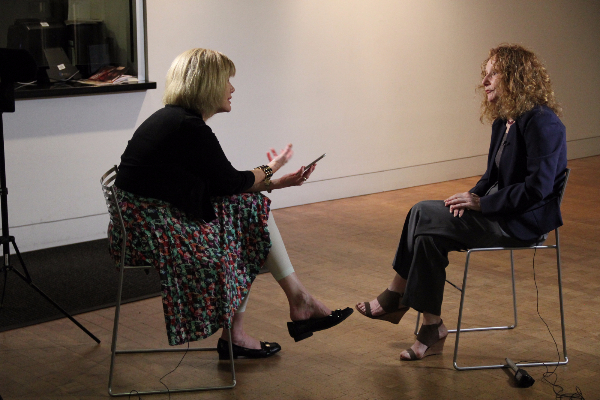 Six years ago the Chicago documentary filmmaker Maria Finitzo conceived of making a film about the legacy of Title IX, the federal law that prohibited discrimination based on gender in government -funded programs. In particular, Finitzo was interested in studying its enforcement and impact in historically disenfranchised communities. Her research took her throughout Chicago. A conversation with two soccer coaches at Walter Payton, a high-academic performance school that produced Michigan All-American Corinne Harris, led her to the story of Stan Mietus, the coach of the girls and boys soccer programs at Kelly High School in Brighton Park on the city’s southwest side. More than two decades ago, the folks at Kartemquin Films spent several years following the lives of two young basketball players from Chicago. Their efforts resulted in Hoop Dreams, an acclaimed three-hour film now firmly lodged in the canon of sports documentaries. Now, Kartemquin, the nonprofit organization behind dozens of award-winning documentaries, is turning once again to an urban neighborhood for a film about sports and society. Title IX aims to open up opportunities in education, but for the girls at Kelly and others like them, Finitzo says, that hasn’t necessarily been the case. Despite gains elsewhere, girls in urban school districts still participate in sports at far lower rates than their peers in suburban schools. Advocates say that gap has sobering implications not only for their health—research has shown that girls who play sports are less likely to become obese or pregnant—but also their chances of graduating on time and pursuing a college education. Indeed, the racial and ethnic makeup of college rosters appears to reflect these deficits: NCAA statistics show that more than three quarters of all female college athletes are white, and African-American female athletes remain clustered largely in three sports—basketball, bowling, and track and field. Maria Finitzo’s narrative, In The Game , is grounded in the story of Kelly High School, an 80% Latino school where head coach Stan Mietus has created a soccer program with limited resources and, perhaps even more startling, without a field to practice on. As Finitzo alludes to, In the Game and Kelly High School is not only an exploration of gender and sports, but also an exemplar of how long-standing social inequalities are exacerbated at the intersection of class, gender and race across K-12 education. As of 2011, there were over one million students attending schools described as ‘persistently low performing’ and 81% of those are students of color, which makes Kelly High School something of a microcosm given our nation’s growing Latino population…the bottom line is the vast majority of students of color are being denied the type of education required to succeed in the U.S.
For girls, that unfortunate situation is often compounded by the fact that they’re also denied equitable opportunity to participate in athletics. The best thing we can do as a society for girls who already face the interlocking challenges of poverty, racism and sexism is to educate them. We’re excited to announce that two-time Peabody award-winning director Maria Finitzo’s new film In the Game is almost complete, and will be hitting festivals in 2015. Ahead of its official festival world premiere later this year, Maria will be present as Athena Film Festival hosts a special work-in-progress public screening at 3pm on Saturday, February 7 in New York City. This Athena Film Festival work-in-progress screening is FREE to the public, however, a ticket is required for entry. Now in its fifth year, the Athena Film Festival-a celebration of women and leadership-is an engaging weekend of feature films, documentaries and shorts that highlight women’s leadership in real life and the fictional world. The four-day festival, which includes conversations with directors and talent and workshops for filmmakers, has quickly established itself as one of the most prestigious festivals of its kind. 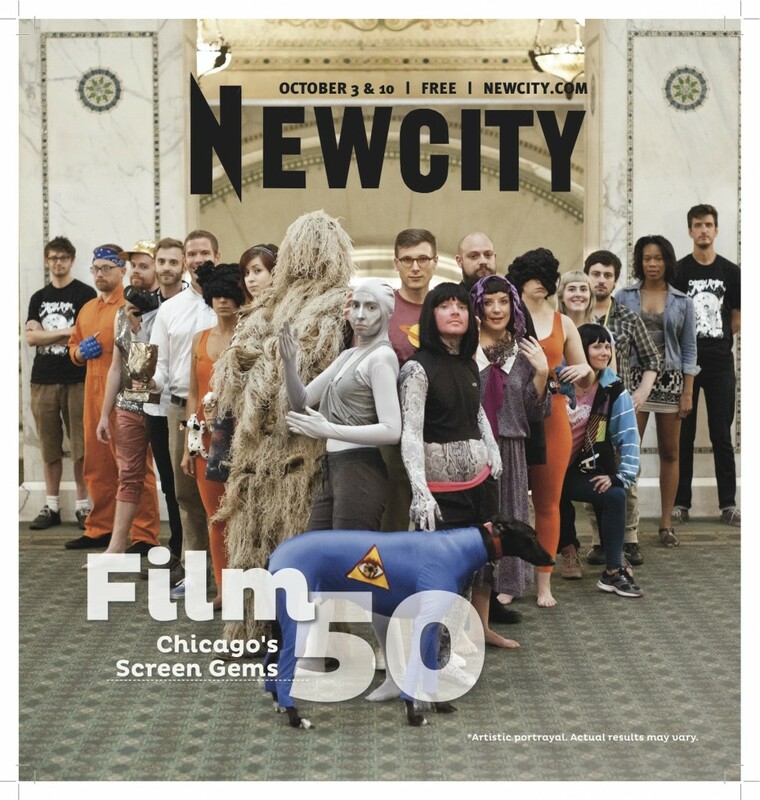 Chicago’s “New City” magazine has published its 2014 list of “Screen Gems”- an annual list of the top 50 film artists in the city – and for the second year in a row, a Kartemquin producer is at #1. #1 – Steve James, director/producer of The Interrupters and many more. #7 – Aaron Wickenden, director/producer of Almost There, editor of The Trials of Muhammad Ali. #14 – Gordon Quinn, our Artistic Director and Co-founder, and director of ’63 Boycott. #38 – Maria Finitzo, director/producer of In the Game and many more projects. For those of you who couldn’t attend – or just want to relive- the 2014 Kartemquin Spring Showcase, watch the recap video of our third annual sold out event. The Spring Showcase invites an audience to preview and discuss four new works-in-progress by Kartemquin filmmakers in a spirit of creative collaboration. The video was edited by KTQ spring 2014 intern Stephanie Sunata. The Gene Siskel Film Center hosted the event for the third year, with the crowd reacting very positively to the short clips shown by Hard Earned; In the Game; Raising Bertie and Generation Food. 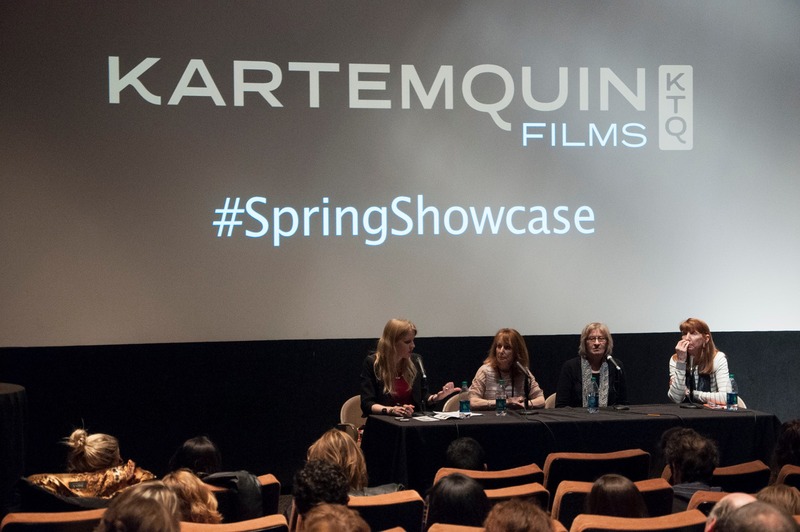 Watch the 2014 Kartemquin Spring Showcase recap!